After a favorable character and fitness interview, I wanted to reward myself with a delicious brunch. And this was just what the doctor ordered. 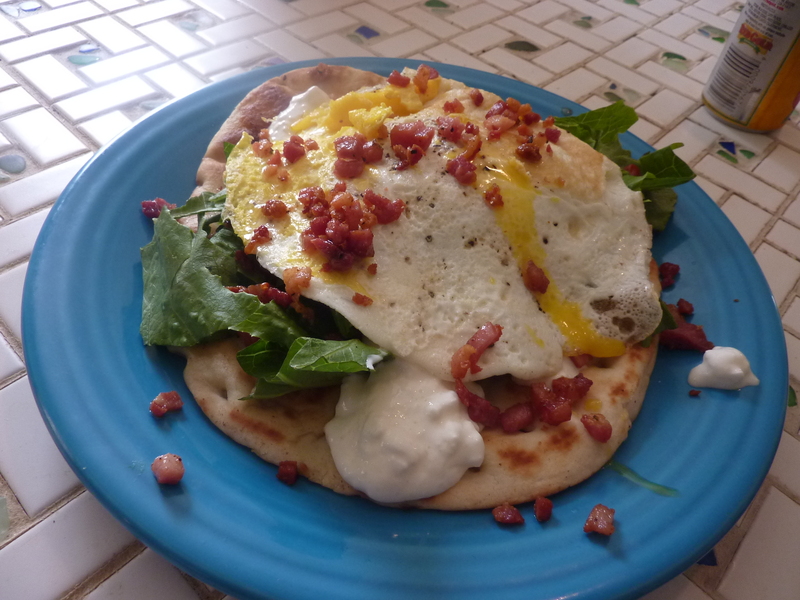 The naan was crisped up and warmed through in renderings from pancetta, infused with some of that salty, cured meat flavor that tastes so good. The slightly bitter lettuce is tossed with a drizzling of sweet and tangy rhubarb vinaigrette, then topped with two over easy eggs and crispy pancetta. A few dollops of creamy cottage cheese round the whole thing out. This truly makes for the perfect brunch, with an addicting contrast of textures and flavors. It was also an interesting and slightly different way to use up an abundance of CSA lettuce. You could also make this more portable by skipping toasting the naan and instead stuffing everything into a pita. Heat a large non-stick sauté pan over medium heat. Add pancetta and cook, stirring frequently, until well crisped, about 6-8 minutes. Using a slotted spoon, remove the pancetta from the pan and set aside. Add naan. Cook 2-4 minutes per side until deep golden brown and heated through. Set aside, placing in a low oven to keep warm if desired. Toss the lettuce with the rhubarb vinaigrette. Crack eggs in the pan. Season with salt and pepper. Cook about 2 minutes until whites are set but yolks are runny. Flip, careful not to break the yolks, and cook another thirty seconds so whites are set but yolks are runny. Place the naan on a plate. Add the dressed lettuce and top with about half of the pancetta. 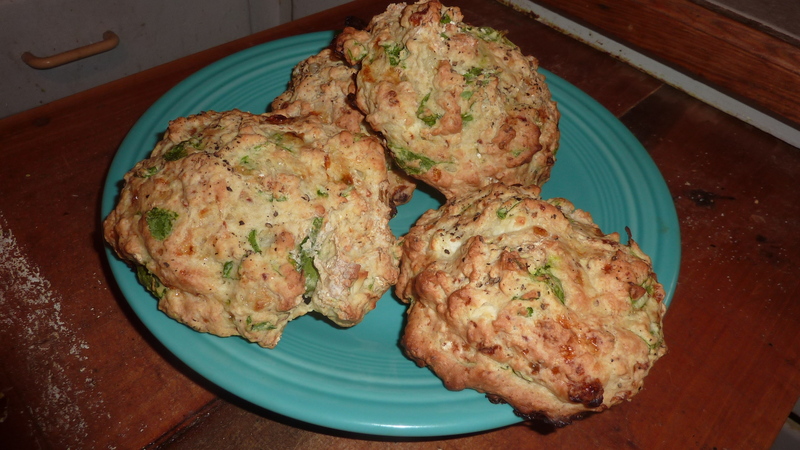 Place a few dollops of the cottage cheese around the edges of the naan. Top with the eggs and then the remaining pancetta. Serve immediately. Have you ever heard of Swenson’s? Zak introduced me to the local fast food chain not long after we moved in together, and since then I have not been able to get enough. We make excuses to drive from the Cleveland area to the Akron area so we can order Galley Boys (a Salad Boy for Zak, now that he’s pescatarian), an order of potato teezers (a combination between a tater tot and a jalapeño popper and the best damn fast food side in the world), fries, potato puffs, and/or onion rings. We don’t eat fast food often, but Swenson’s is an old school drive-in type fast food place, where the servers run from car to car taking and filling orders. And it’s so, so, so good. Whenever I have a semblance of a reason to travel toward Akron, a stop at a Swenson’s is in order – whether it’s to go the Akron-Canton Airport, Bow Wow Beach with Roo Bear, the Metroparks for a hike, to meet with the videographer for the wedding … you get the idea. Anything. And when you want to do that, you want to do it like this. 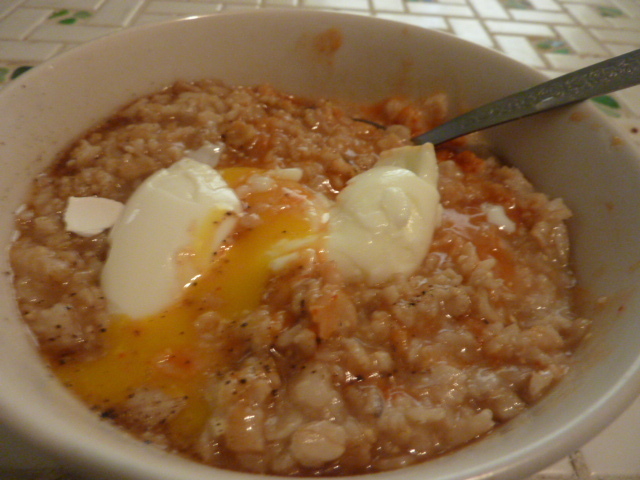 Because it’s crunchy, salty, savory, spicy, yolk-y and unimaginably delicious. Plus, it’s easy and quick. The crispy, crunchy, salty onion rings are the perfect thing to dip into a creamy, molten egg yolk, and the sriracha adds a spiciness that pulls the whole thing together. Place onion rings on a tinfoil lined baking sheet and bake 8-10 minutes, flipping once, until crispy and heated through. Drain slightly on paper towels. Spray a nonstick pan with nonstick cooking spray and heat over medium heat. Place largest onion ring in the pan. Holding edges down with a set of tongs or your fingers (be careful! 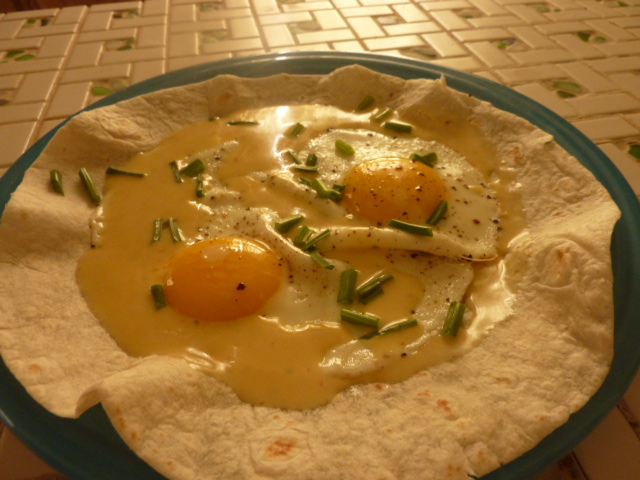 ), crack an egg in the middle. If any whites overflow, gently push back with a rubber spatula until as close to the edges of the onion ring as possible. Season with salt and pepper. Throw a half teaspoon or so of water into the pan and cover. Cook egg 2-4 minutes. Check whites for doneness, and repeat as necessary until whites are set and cooked through but yolk is creamy. 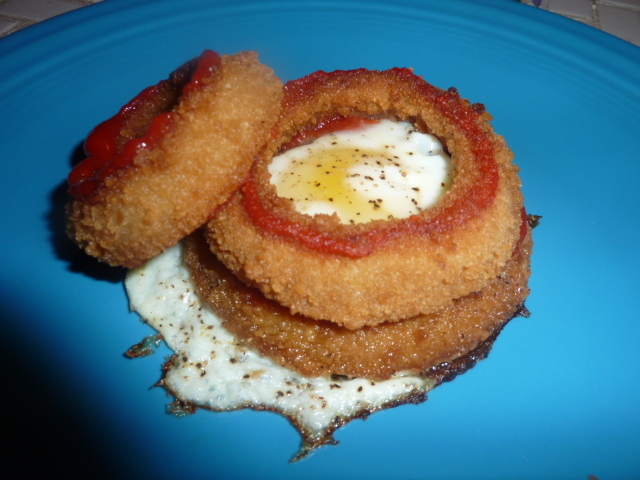 Place a ring of sriracha around the top of the bottom onion ring. Top with next smallest onion ring. Add another layer of sriracha and repeat until smallest onion ring is stacked. Top with another squeeze of sriracha.